It’s been an exciting World Cup so far for England, with many tentative whispers about football coming home. And thanks to Auto Trader, the competition has an additional thrill. The UK’s largest automotive marketplace is giving away a spanking new car for every goal scored by the England team. And at the rate Harry Kane and the lads have been going, there have already been quite a few happy winners. The England team have scored eight superb goals so far, and Auto Trader have been good to their word, dishing out £156,135 worth of vehicles. This has included two Jeep Renegade’s, three Abarth 595’s, two Alfa Mito’s and two Fiat 500x’s. And there have been some well-deserved winners, including pregnant, 24-year-old paediatric nurse Imogen Ryan. 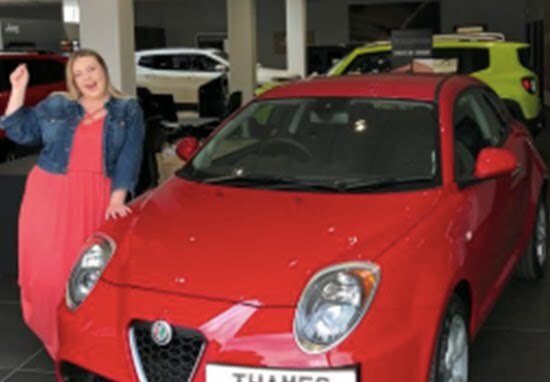 Imogen is now is the proud owner of an Alfa Mito, all thanks to Harry Kane’s successful penalty during regular time of England’s victory over Colombia.